Chartres Cathedral is on UNESCO’s world heritage list. It is a pinnacle of French Gothic art, and is considered to have the most beautiful stained glass in the world. The city is thought by many to be built on sacred ground, and has been a site of pilgrimage for at least 5,000 years – long before Christianity – at least from the time of the Carnutes, the ancient Celtic tribe who lived here. Although the Carnutes were pacified by the Romans, the city was Romanized, but never fully conquered, and was allowed to remain self-governed. 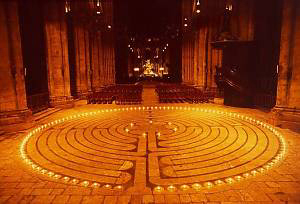 Evidence of this colourful history can be seen in the stone labyrinth in the floor of the cathedral itself; the Druid well and processional hall under the cathedral, and the brick-and-stone Roman walls near the Druidic structures. Our Tasting Masterclasses will concentrate on food and wine from the surrounding region. Chartres is located in the Beauce, the bread basket of France – and one might say, Europe – so bakeries use local flour and compete for not only the best baguette, but the best bread in general, giving rise to a plethora of types of bread you’ll find no where else in France nor in the world. Other crops grown in these vast, flat fields include sugar beets and all sorts of root vegetables, many not found elsewhere. The flat wheat fields are not propitious to dairy cows, so cheeses are limited, but we have access to cheese from the best local artisanal cheesemakers. Pigs live in perfect harmony alongside the wheat fields, as do wild and domesticated fowl, so many of the meat dishes are based on them. 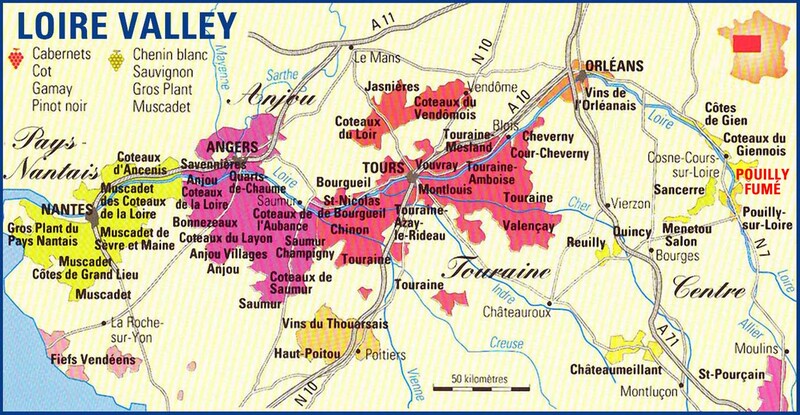 In today’s Chartres, Loire Valley wine is considered local, since the Loire region starts about 45 minutes down the road and no wine is grown in Chartres due to the climate. 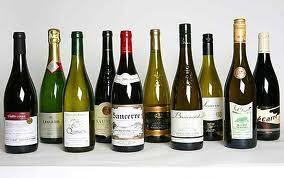 As a result, the local sommeliers and wine merchants specialize in Loire Valley wine. Our tasting will focus on the “art of tasting” in general, starting with our perceptions of taste in food, and working up to our perceptions of tasting wine. 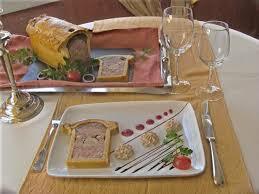 The two are inseparable, since wine can only be appreciated to the maximum when paired with food. Some of the food tasting Masterclass will be based on scientific research, but most on an intuitive approach, where you will become aware of why you like and dislike certain foods, textures, smells, etc. in food, with hands-on workshops to help you understand the complexity and individuality of taste in general. For us, food should be a pleasure, and Western culture has neglected to train our taste buds by feeding us too much processed food. This workshop will help you reawaken your taste buds and sensory perception of food so that you will go away with a different perception of what real food is. Tasting will become a conscious process that not only serves the purpose of filling your belly, but brings you pleasure and enjoyment that industrial food will no longer satisfy. Through a series of tutored wine tastings you will learn how professionals taste wine, what makes a ‘good’ wine, and about the aromatic, flavour and structural components of wine and how they interact with food. We will also focus on local wines through an in-depth Masterclass on wines of the Loire, as well as pairing these wines with cheeses, main courses and desserts throughout the weekend. Click on the Paypal button at the top right of the sidebar to pay by Paypal, or the blue Contact Us button at the top right of the home page to pay by bank transfer. The event will take place in Chartres, France in a 1,000-year-old chapel Jonell converted into her home. Masterclasses are held in this historic monument, just a two-minute walk from the cathedral and 10 minutes from the train station. Lodging is in B&Bs and hotels within walking distance of the event, but lodging is not included in the price, although we can help you find accommodations. SINCE THIS IS A FESTIVAL WEEKEND, PLEASE LET US KNOW IMMEDIATELY IF YOU REQUIRE HELP WITH ACCOMMODATIONS. We are located in the St-Pierre neighborhood, half way between the cathedral and the St-Pierre Church at the bottom of the hill. Package: A 4-day Food and Wine Tasting Masterclass in the romantic, historical setting of Chartres. 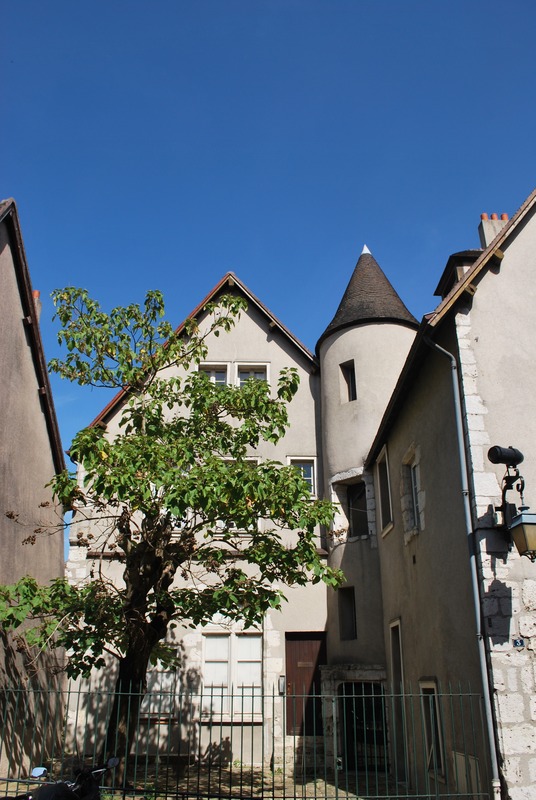 Classes are held in a 1,000-year-old chapel converted into Jonell’s home, just 2 minutes’ walk from the world-renowned Chartres Cathedral and 10 minutes from the train station. 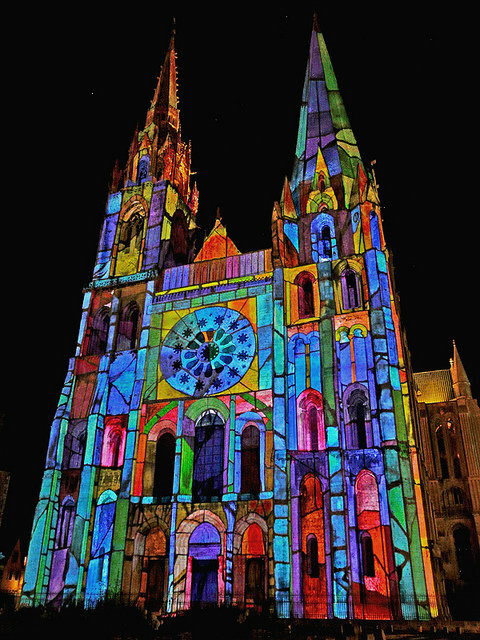 The Masterclass is held during the spectacular Chartres Festival of Lights, celebrated every year since 2003 on the weekend of the autumnal equinox. Cultural and historical walking tours are available on request, as are cooking classes. Contact us for more information. 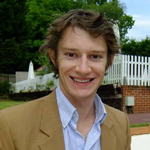 Jonell Galloway studied classic French cooking at the L’Ecole du Cordon Bleu and La Varenne in Paris, and wine tasting at Steven Spurrier’s Academie du Vin in Paris, doing numerous wine internships all over France, and at CAVE S.A. in Geneva and Gland in Switzerland. In France, she worked for some years as a contributing editor for the English edition of the GaultMillau restaurant and hotel guide and as a food translator, while running a small cooking school called “Spontaneous Cuisine” in a château near Paris, and now, at a 1,000-year-old chapel converted into her home in Chartres. She divides her time between Chartres and Geneva, where she is ambassadress for Les Artisanes de la Vigne et du Vin, the Swiss women’s wine producers association, and is active in Slow Food. 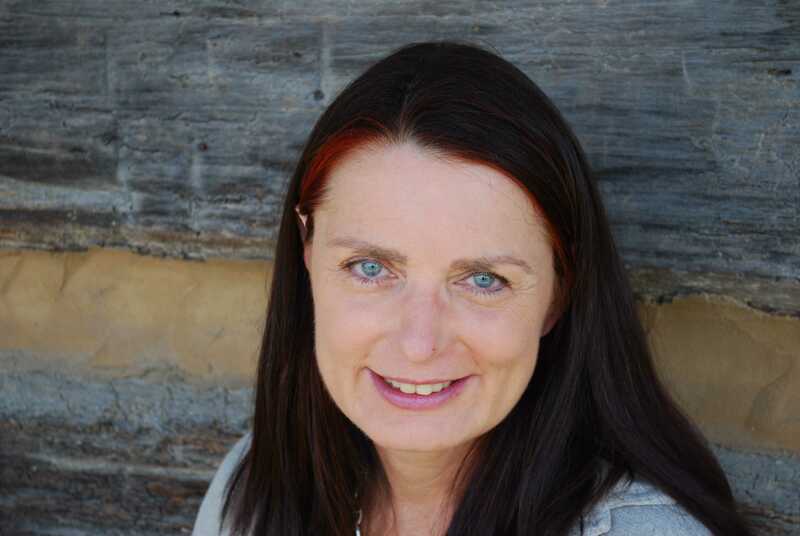 She publishes the real food and wine site The Rambling Epicure, an e-zine for cultured gastronomes. 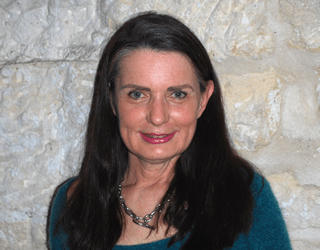 She is also an active member of IACP, the International Association of Culinary Professionals, and works as a freelance writer for numerous food and travel publications. Her recent publications include Ma Cuisine Méditerranéenne in collaboration with Christophe Certain and Le tour du monde en 80 pains / Around the World with 80 Breads published by Orphie, in collaboration with Jean-Philippe de Tonnac. She also collaborated on a review of the life work of Swiss sculptor André Raboud, published by Edipresse. 7:00 PM COCKTAIL – We meet over a Loire white wine for an informal introduction to the weekend ahead. 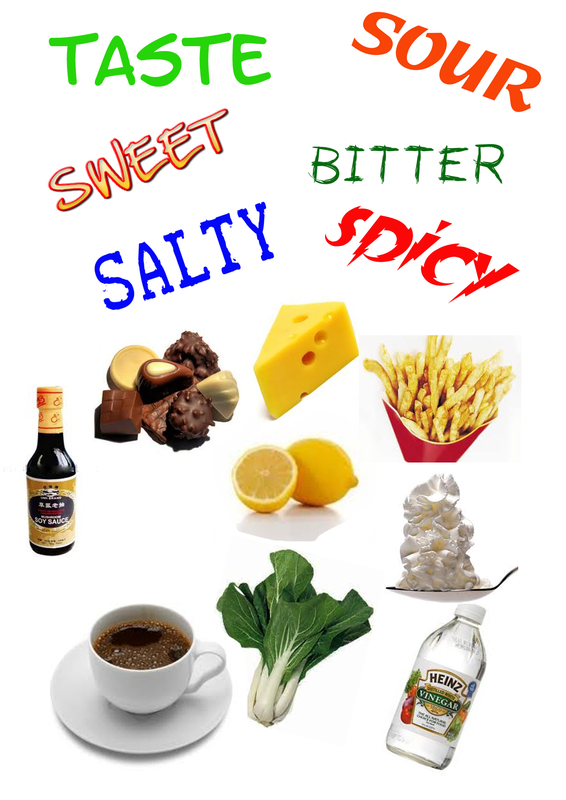 Flavour “dictionary” for food: certain tastes that do and do not go together in just about everybody’s vocabulary and culture. Flavour awakening workshop. We explore how professionals taste wine over 6 wines from around France. We’ll discuss aromas, flavours and structural elements such as acidity, alcohol, sugar and tannin as well as covering what makes a ‘good’ wine and how wines interact with food. Set menu using only local products, paired Loire Valley wines. We’ll explain why we have chosen each wine that accompanies each dish. Application of the flavour awakening we’ve learned in Friday’s workshop, taking into consideration the sensual aspects of food. We’ll choose ingredients using all the senses and observing what attracts you most. You’ll think with your taste buds and imagine how ingredients can be combined to construct a meal. Afterwards, comparison of individual reactions. We’ll use the ingredients to make Sunday’s meal. You’ll learn about how vines grow, how wine is made and how the choices made in the vineyard and winery impact on the flavours, aromas and structure of the wine. Over several flights of wines, we’ll discuss the unique features of wines of the Loire Valley and how these are expressed in the glass. 2) We taste a range of local cheeses and wines, discuss cheese and wine tasting philosophy, practice and pairing. Evening free to enjoy the festival. We begin with a sparkling wine aperitif and discuss how sparkling wine is made, what the differences are in tasting practice and the impact the bubbles have on food and wine pairing. We then move to a three-course dégustation lunch where each course is carefully paired with two wines, served simultaneously and blind. You have the opportunity to use your newly acquired knowledge to explore the taste interactions of wines and food and we will discuss and unveil wines during each course. Saturday dinner: Light early dinner and cheese platter. Possibly salmon smoked by St-Hilaire with some crusty local bread.